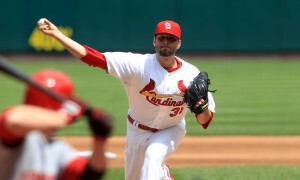 Lance Lynn won his 10th straight decision, allowing one run and five hits in seven innings in the Cardinals 4-2 win over the Cincinnati Reds Wednesday afternoon at Busch Stadium. Lynn (5-0) struck out five and walked two, improving to 10-0 in 10 starts and one relief appearance since losing to Milwaukee on Sept. 7. Lynn started last season at 6-0 with a 1.48 ERA through May 7 last season, then went 12-7 with a 4.46 ERA the rest of the way. Carlos Beltran homered in the fourth and after Brandon Phillips doubled in the tying run in the sixth, the Cardinals struck for three in the bottom of the inning. 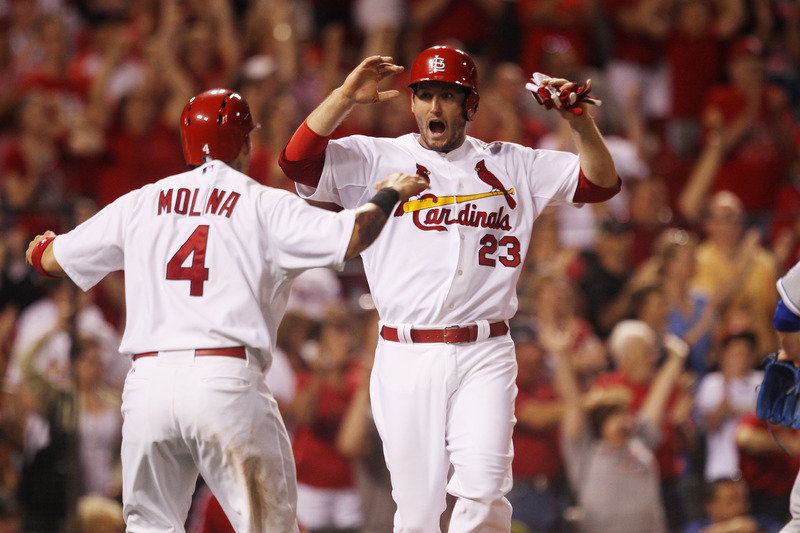 Three straight singles from Matt Carpenter, Pete Kozma and Daniel Descalso. Phillips homered in the ninth for the Reds, but Edward Mujica saved the game–his sixth of the season.